1. I'm writing this on Sunday, because I was too brain-dead yesterday afternoon to figure out that (the B&B's wireless being weak) my Verizon hotspot would get 4G-LTE if I put it on the window sill. I love wilderness but not without Mother. 2. 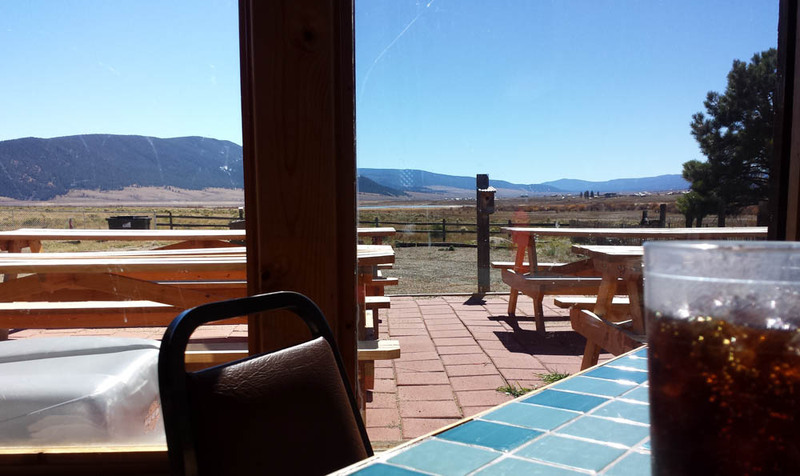 I was braindead because yesterday we decided to take the scenic route around Taos -- because we got an early start and check-in here wasn't till 3:30. We dawdled and took pictures. But that darn scenic route turned out to be way slower than expected as we maneuvered the switchbacks around all that scenery. Didn't Mother do a beautiful job of keeping track of us? (See Google-generated map above.) 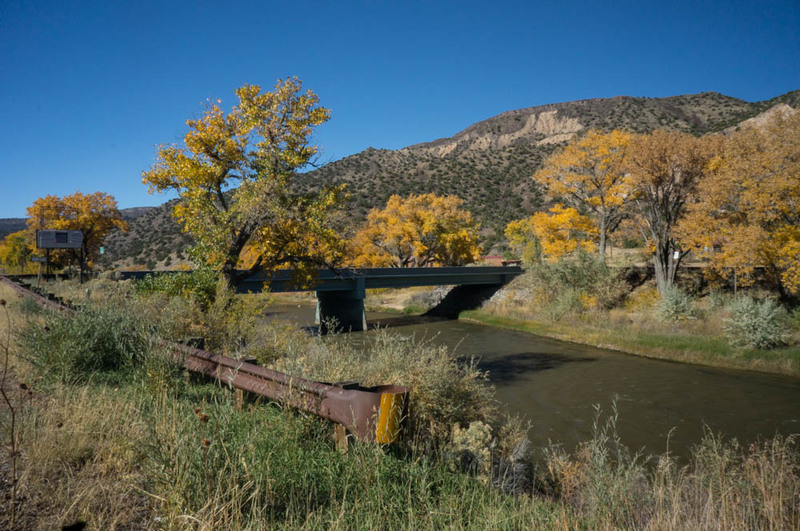 Photo below is north of Santa Fe -- Rio Grande River. 4. 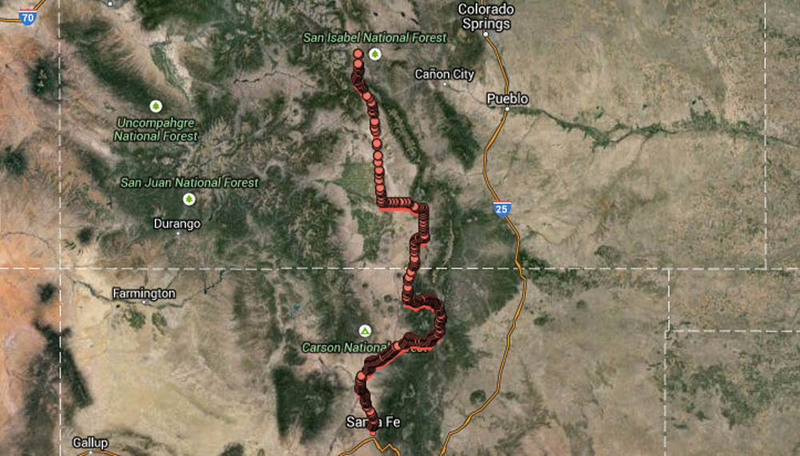 About 5 PM, we rolled into the Mountain Goat Lodge, a B&B about 8 miles south of Salida. A woman about my age runs this place herself. 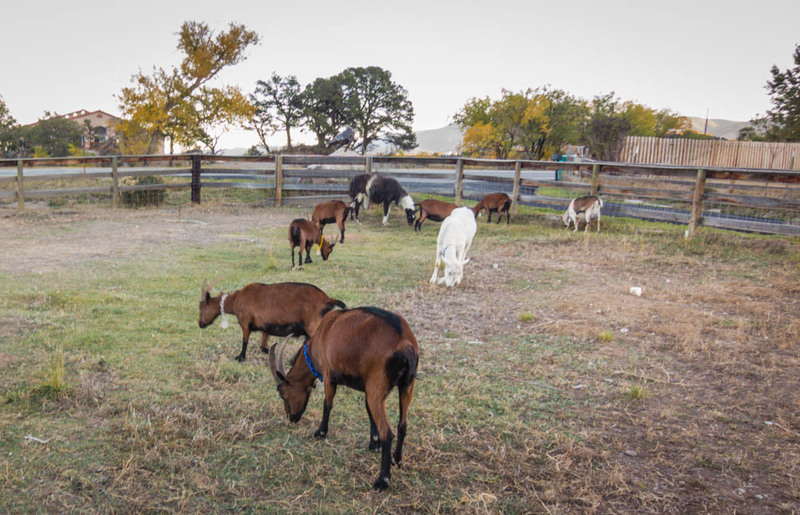 Gina introduced us to her two dogs, her herd of goats, and her flock of chickens. She put smiles on our tired faces. She was very curious about our parrot Hermanita and wanted to know all about the pecking order in our household. The young goats in her herd have decided to shun their grandparents, much to Gina's distress. See photo below. You'll note a single large llama in the back. She guards the goats from predators and is (we're told) very protective. 5. The extreme non-commercial rurality of this place got me excited that I might finally see a real starry night. And sure enough, we stood on our little porch and were wowwed. I can now definitively say I've seen the Milky Way. We basked in the starlight and had supper from our cooler of leftovers.